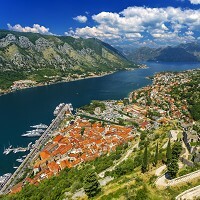 Kotor in Montenegro has been named the best city in the world to visit in 2016. Lonely Planet's Best in Travel publication gave the number one spot to the historic destination on the Adriatic coast because it offers a "picture-perfect visage from virtually every angle". Known for its beautiful harbour and Venetian-style architecture, it should be on everyone's to-do list next year, according to travel experts. Quito, the capital of Ecuador, was second on the top 10 list. High in the Andes, it has a backdrop of mountain peaks and its Old Town is adorned with architectural gems. Other must-see destinations include George Town in Malaysia, the Indian city of Mumbai and Nashville, Tennessee. Whatever exciting places holidaymakers are planning to visit next year, travel insurance is essential for peace of mind. The guide was compiled by Lonely Planet's experts based on exciting recent developments, destinations that have "a lot of buzz" and special events that are taking place next year. Some go-to cities on the list are a little closer to home, including Dublin and Manchester, which came third and eighth respectively. The Irish capital is described as a location that "pulsates with youthful vibrancy", while the book praises Manchester for being "the UK's cultural boom town", calling it a "dynamo of culture and the arts". One of the reasons that Dublin features on the list for next year is the 22 million euro (£15.8 million) celebration marking the centenary of the 1916 Easter Rising rebellion. Of Manchester, it says the "one-time engine room of the industrial revolution has found a new groove for the 21st Century". The guide points to Government investment of £78 million to build The Factory, a new multi-purpose arts space that will include a 2,200-seat theatre and be the permanent home of the Manchester International Festival. The experts also described the Whitworth - which reopened this year following a £15 million revamp - as one of the UK's most important art galleries. The city's football heritage and boutique shops were other notable attractions.